Greenwood Shoppes is situated across from the 1,000,000 square foot Greenwood Park Mall, a regional mall anchored by Macy's, JC Penney, Sears and Von Maur. Other area retailers include Kohl's, Target, Best Buy, Barnes & Noble, Lowe's and The Cheesecake Factory. 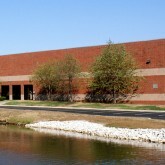 Westpoint Commons is positioned along the Rockville Road (US Highway 36) retail corridor connecting downtown Indianapolis and the western suburbs of Avon and Danville. It is shadow anchored by a Kroger Supercenter. Fishers Gateway is located on East 116th Street with direct and highly visible access to the Interstate 69 on–ramp. It is across from SuperTarget and McDonald’s. North by Northeast is in a highly visible location with high vehicle traffic on East 96th St. adjacent to the I–69 on–ramp. It is shadow anchored by Walmart Supercenter.